The Vertigo version of John Constantine meant for mature audiences will exit stage left this February in Hellblazer #300, as DC Comics launches a new ongoing title for its more PG-13 "New 52" take on the character simply dubbed Constantine. 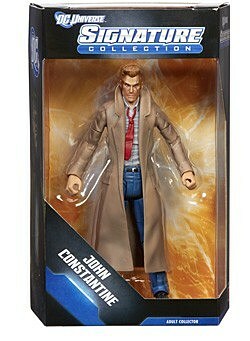 Just in time for this transition, it seems, Mattel will release a new (and still scarred) John Constantine action figure through its Matty Collector Club Infinite Earths monthly subscription service. 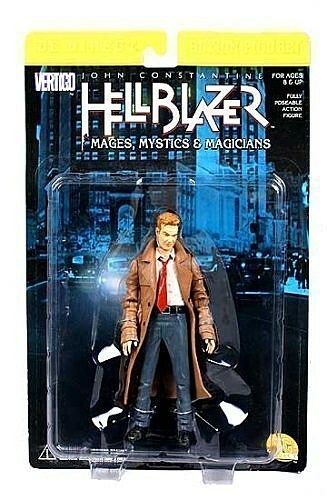 The new Constantine toy follows a Hellblazer figure released in 2000 as part of DC Direct's "Mages, Mystics and Magicians" line, which also included Dr. Fate, Zatanna and The Spectre. 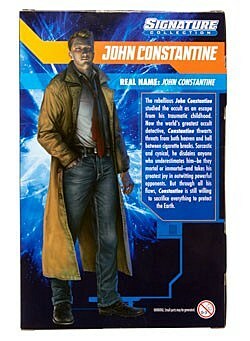 Like its predecessor, it doesn't include Constantine's signature cigs. 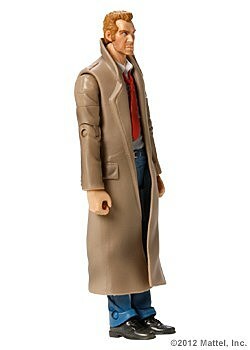 We'd whine that it doesn't include a holy water shotgun, too, but toy collectors were spared an action figure line based on 2005's less-than-critically-acclaimed Constantine live action film starring Keanu Reeves. 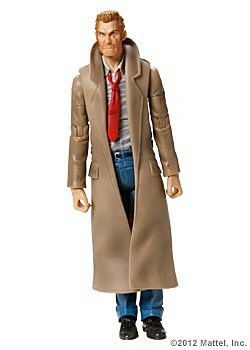 Design-wise, this new toy seems in line with how the character's been portrayed in Justice League Dark and other titles, although it remains to be seen if he'll keep rocking the jeans and trenchcoat look when Robert Venditti and Renato Guedes take the reins next year. 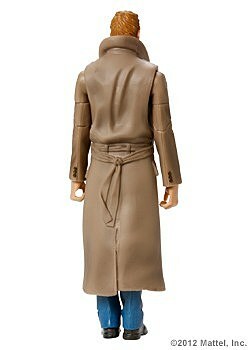 You can see the upcoming figure more closely below.